In Pakistan, alleged “blasphemy” results in anti-Christian violence and in calls to repeal blasphemy laws. Washinghton DC subway decides to ban political ads on the Metro after controversy over a cartoon proposed by US anti-Muslim group. In Bangladesh, another secular blogger fears for his life and the government bans Islamist group accused of blogger attacks. In India, Punjab language department relaunches a “blasphemy” book and hurriedly withdraws the order. 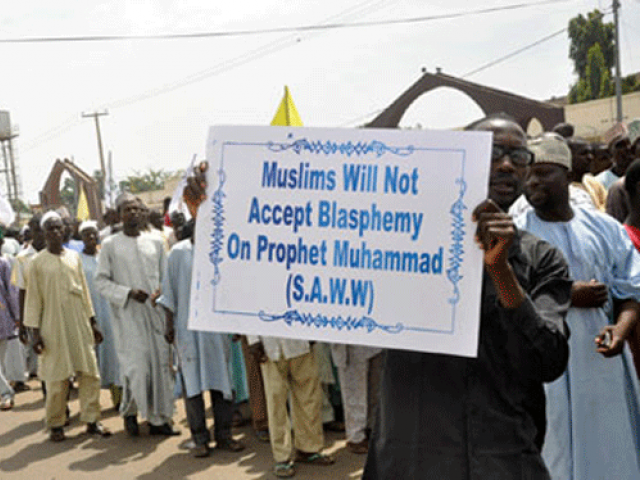 Hundreds of youths protest in Kano, Nigeria against a Muslim cleric accused of “blasphemy”. 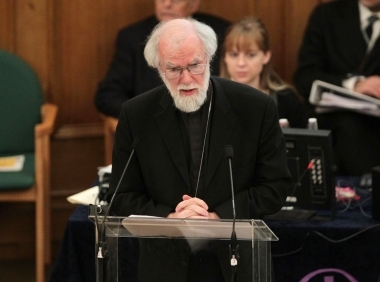 In the UK, former Archbishop of Canterbury Rowan Williams defends “blasphemy” as ‘the language of protest’. This is our seventieth round-up of “blasphemy” news and views from the past seven days. Hamayun Masih, the accused, was allegedly seen burning pages of Holy Quran after which he was booked by police and charged with blasphemy under section 295-B of Pakistan Penal Code. Following these allegations, an angry mob went from a mosque on Friday 22 to the house of the Christian man to protest against his supposed blasphemous attitude. In the meantime, hundreds of Christians fled their homes which were ransacked and burnt on Saturday 23. The police intervened to stop the riots, using tear gas, but with little success. Even the deputy inspector general of police was injured. The Catholic church in the area was attacked; Bibles and religious books were burned. Some Christians have fled, others are still locked in their homes. 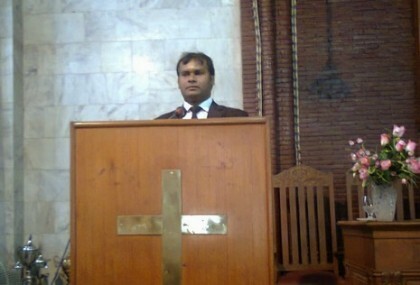 Christians then gathered in Lahore and Karachi, the country’s biggest city, to protest at the attack. They condemned the violence and called for better protection as well as compensation for those affected. Police in the Pakistani city of Lahore have made 150 arrests. After having carefully weighted whether the allow this subway ad, the Washington Metropolitan Transit Authority eventually decided to ban all “issue-oriented” advertising for the rest of the year, meaning no ads that convey religious or political messages will be allowed on the transit system. 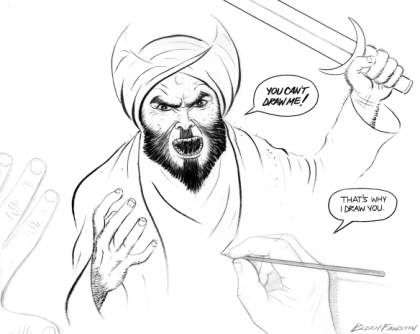 The story reminds us of the fine line between valid criticism and prejudiced intolerance since the cartoon was proposed by the American Freedom Defense Initiative, an organisation classified as an anti-Muslim hate group by the Southern Poverty Law Center. On May 3, the cartoon won the top prize at AFDI’s “Drawing Mohammad” contest that exploded in violence in Garland, Texas. She called the subway authorities’ decision an “end run” around the First Amendment. Bangladesh bans Islamist group accused of blogger attacks. 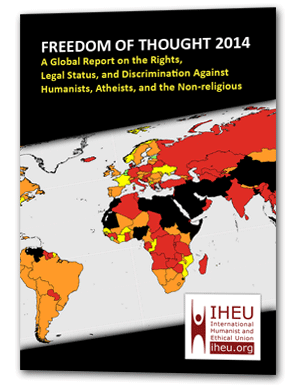 But it’s not enough to protect non-believers and human rights advocates. 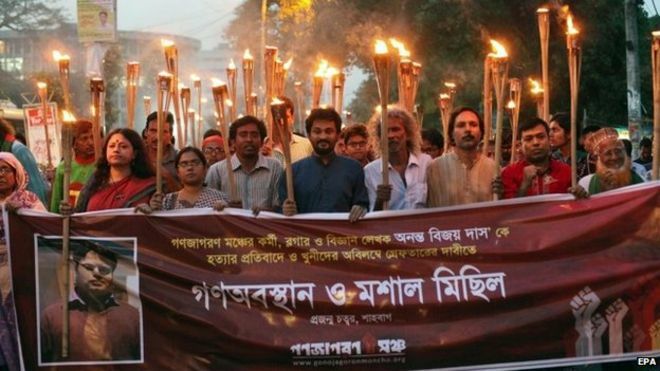 Bangladesh’s move to outlaw the Ansarullah Bangla Team (ABT) comes after big protests from activists who have accused the authorities of failing to protect critics of religious bigotry. It is the 6th islamist group to be banned in the country. But many of those under threat demand the banning of Jamaat-e-Islami, Bangladesh’s largest Islamist party, although it denies any link to the murders. Secular blogger Ananya Azad told he ‘will be next’ to die after the three writers hacked to death. Ananya Azad’s own father survived a machete attack in 2004 after he wrote a critique of fundamentalism and he is now being threatened for his own work. “Anyone who has a critical view about religion is exposed,” he said. “I probably have reduced my frequency of writing but my nature of writing has not changed.” Speaking to the Associated Press in April, Mr Azad said he quit his job as a newspaper columnist and stopped writing blogs after receiving numerous threats but still posts critical comments on Facebook. Mr Azad was considering fleeing the country and said he spent much of his time indoors. He is one of more than 80 people on a list of bloggers targeted for their criticism of religious intolerance and extremism in Bangladesh. The book ‘Janam Sakhi Bhai Bala Da Paath-Parmanikaran Te Aalochnatmak Sampadan’ by Dr Gurbachan Kaur was banned by the then Punjab government in 1987 after it noticed certain objectionable remarks against the first Sikh Guru in it. Sources said after 27 years the language department in a bid to sell the remaining stock of the first edition (1,000 total print order) floated a proposal that the book can be sold by removing the pages that have objectionable content. The proposal was accepted and the book was distributed across the state. But fearing backlash, the department then withdrew the order. Slamming the language department, former Deputy Speaker Bir Devinder Singh said: “The entire stock of this blasphemous book must be immediately confiscated and destroyed in full public view. Our religious sentiments have been deeply hurt by this sacrilegious book”. He also demanded a case under Indian Penal Code section 295-A (deliberate and malicious acts, intended to outrage religious feelings or any class by insulting its religion or religious beliefs) against the language department. Hundreds of youths ran through the streets of the northern Nigerian city of Kano shouting “Allahu Akbar” (God is greatest) on Friday to protest against a Muslim cleric accused of blasphemy, and set fire to a sharia court, police said. “Hundreds of youths were involved. There was no damage, no injuries and nobody died as a result of this,” Kano police spokesperson Magaji Majiya said by telephone, noting that the protest lasted just over an hour. Members of different sects usually live peacefully side by side in predominantly Muslim Kano, the biggest city in the north of Africa’s most populous country. Williams says blasphemy is not always an attack on faith, but involves testing beliefs and is often a valuable exercise.